iLoveMountains.org is an invaluable resource if you care about the Appalachian mountains and what mountaintop removal is doing to them. 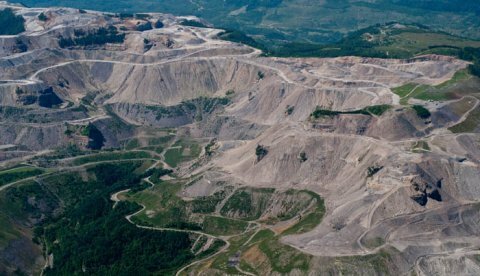 The site is up with a new resource (with an interactive map) called "Communities at risk from mountaintop removal." Needless to say, West Virginia has more than its fair share in the top 50. It was on this day in 1914 that the second worst mining disaster in West Virginia occurred in Eccles. 183 miners perished. And on this day in 1928 an explosion at the Benwood Mine took the lives of all 119 miners on the morning shift.